Goodman Furnace & AC. Installation, Repair & Service. Custom Air is an authorized Goodman HVAC dealer. 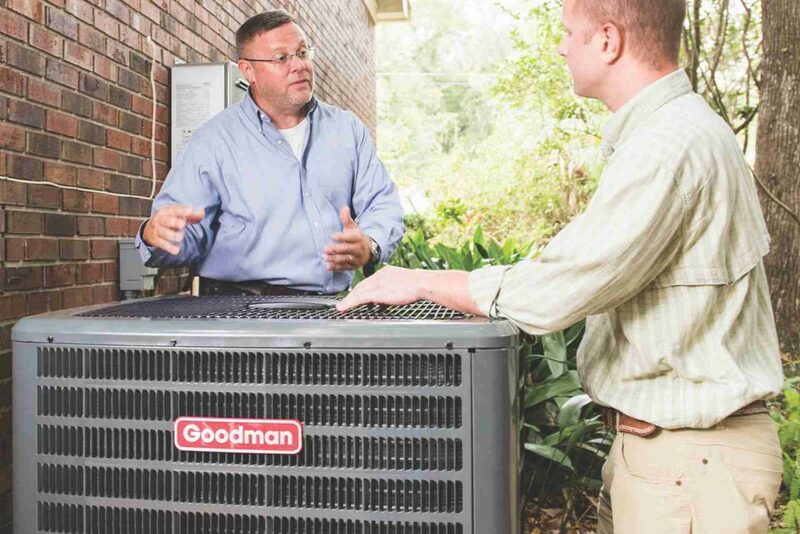 Since 1982 Goodman has been building Goodman air conditioning and heating equipment that meets the highest industry standards. Goodman is focused on providing high-quality products at an affordable price, and protection with some of the best warranties in the industry. 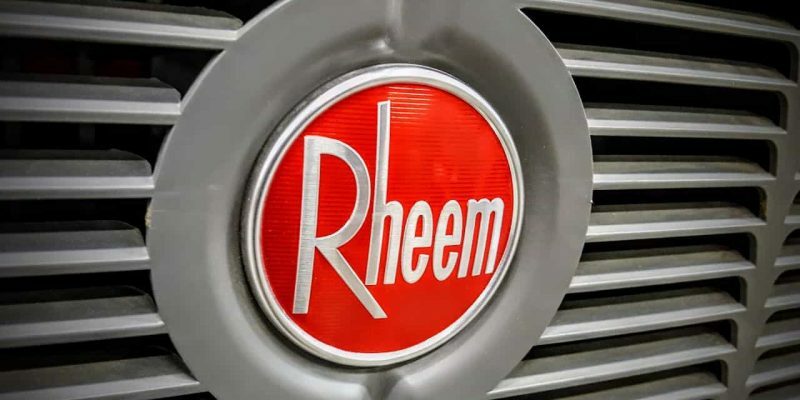 Goodman manufactures furnaces, air conditioners, ductless mini-split systems, packaged units, controls, heat pumps, air handlers and commercial systems. Many of which are energy star qualified and made in the USA. Goodman was the first HVAC company to offer 10-year Parts Limited Warranty* coverage on all functional parts. 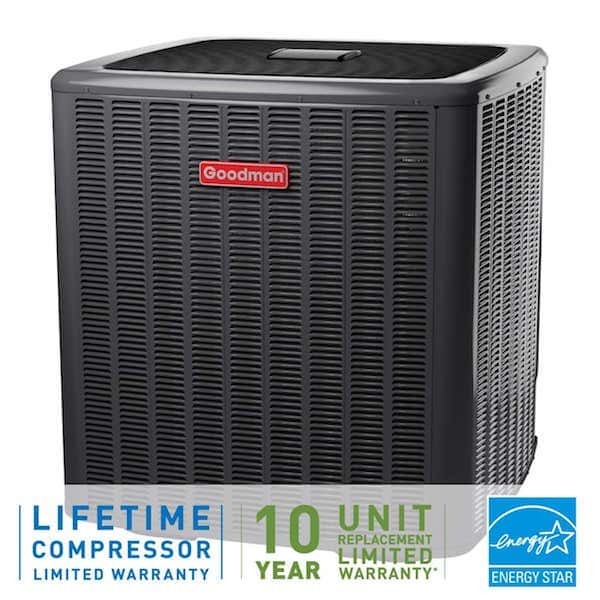 Goodman became the only HVAC manufacturer to offer a Lifetime Compressor Limited Warranty on the compressor in air conditioning products and a Lifetime Heat Exchanger Limited Warranty* in furnaces in 2005. 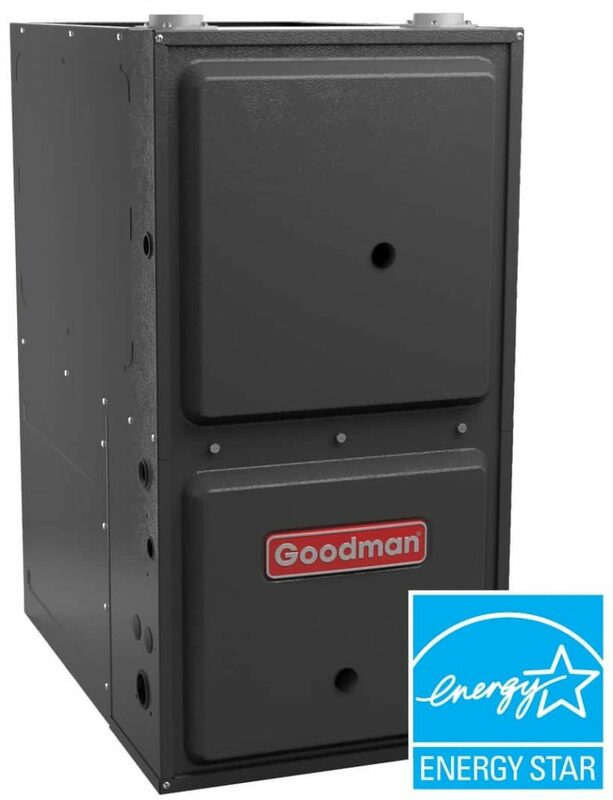 On select gas furnace units Goodman offers a 10-Year Unit Replacement Limited Warranty. * Warranties like these can only come from a company that is 100% certain of the quality and reliability of its products. The compressor in the GSXC18 air conditioner is backed by a Lifetime Limited Warranty. If the compressor fails, a new one will be provided to the original purchaser of the central air conditioning system as long as they live in the same single-family residence. All functional parts are covered by a 10-Year Parts Limited Warranty. Call us at (614) 552-4822 or contact us here for full warranty details. Quiet – Acoustically engineered sound control blanket and advanced fan design provides a quieter unit. Efficient – Up to 19 SEER Performance. Next Generation Copeland Scroll ™ Two-Stage Compressor has fewer moving parts consuming less energy. Solid – Heavy-gauge galvanized steel cabinet and louvered coil guards. Baked-on powder-paint finish. Now & Future – ComfortBridge™ Technology continuously monitors system performance for customized indoor comfort. Covered by one of the best warranties in the HVAC business. The heat exchanger is covered by a Lifetime Limited Warranty to the original, registered homeowner and if it fails during the first 10 years of ownership, Goodman will replace the entire unit for as long as you own your home. This furnace also has a 10-Year Parts Limited Warranty on all functional parts. Quiet – Efficient, quiet variable-speed. 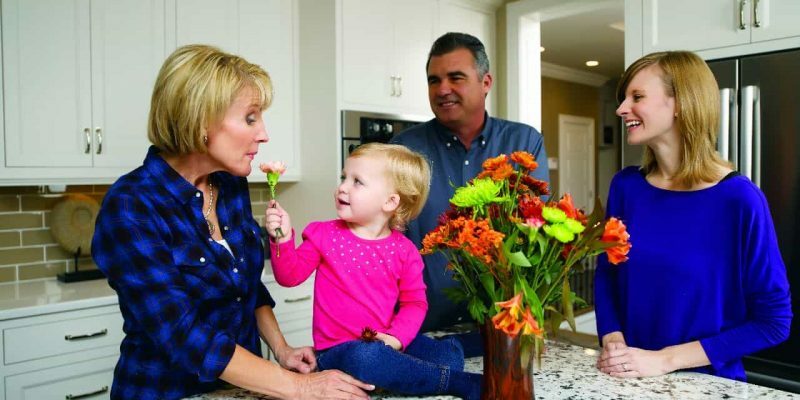 Efficient – Up to 96% AFUE – Up to 96 cents of every $1.00 of heating energy expense warms your home. Solid – Aluminized-steel dual-diameter tubular heat exchanger & Stainless-steel secondary heat exchanger. 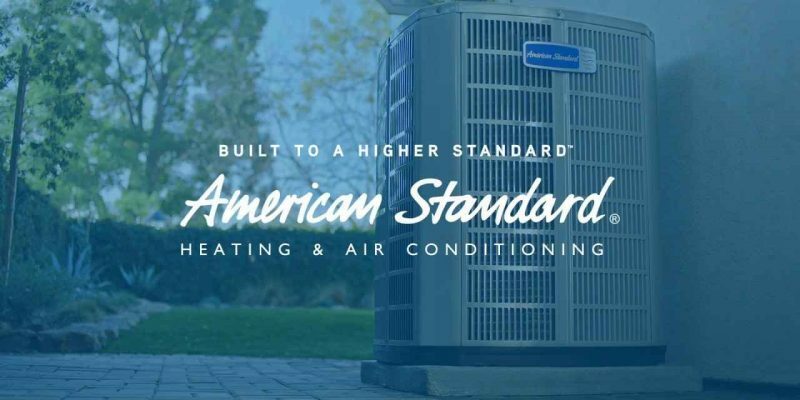 For over 42 years, Custom Air is the trusted contractor to service, repair, install and maintain any Goodman brand HVAC systems throughout the Columbus area. Call us anytime at (614) 552-4822 or contact us here. Custom Air HVAC technicians are trained and highly vetted and are experts when it comes to installing, servicing, or repairing a Goodman air conditioner or furnace. Choose the experts, Custom Air. We service Columbus and the central Ohio area. Installation – There’s no pressure to buy from us! Make your decision when you’re ready. 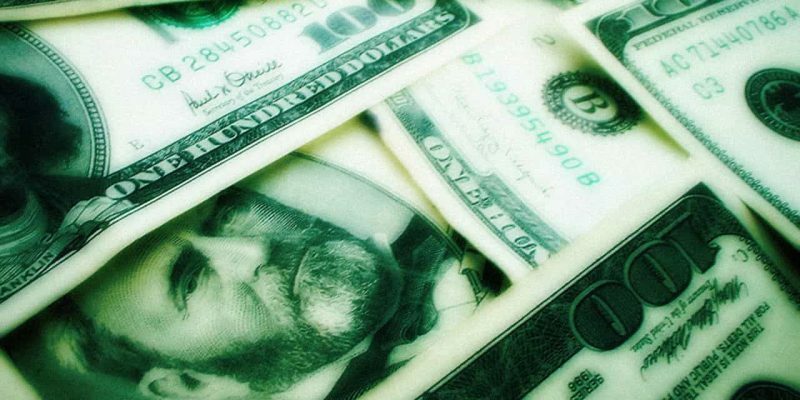 Financing – Let us review the different types of financing options available to you. Many customers can be approved for credit within minutes, visit our financing section, call us at (614) 552-4822 or use our contact form. Maintenance – Custom Air offers our Custom Management Service Plan where we provide semi-annual maintenance on your heating and air conditioning systems. Lack of maintenance is the number one cause of HVAC system breakdowns, call us to request a Custom Management Service Plan. Service – Looking for service for your Goodman HAVC or furnace? Call us at (614) 552-4822 or contact us here for a price quote. Goodman believes in American dependability. 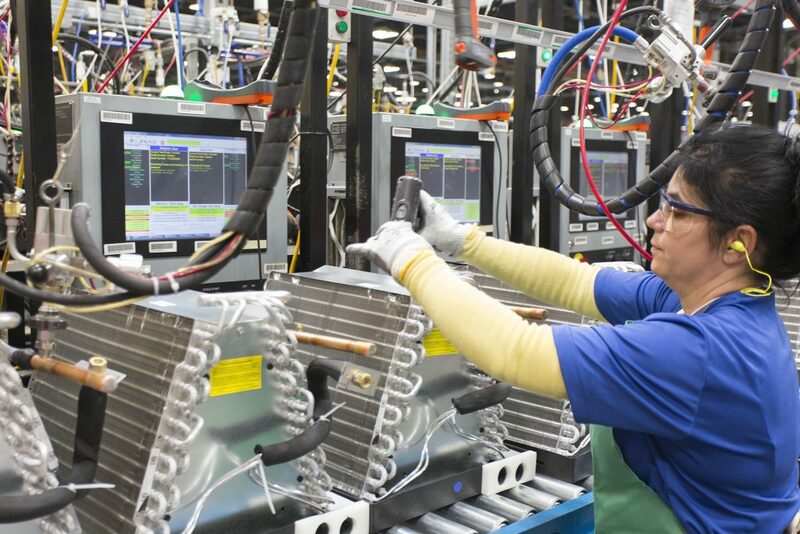 Units are designed, engineered, and assembled in the USA. 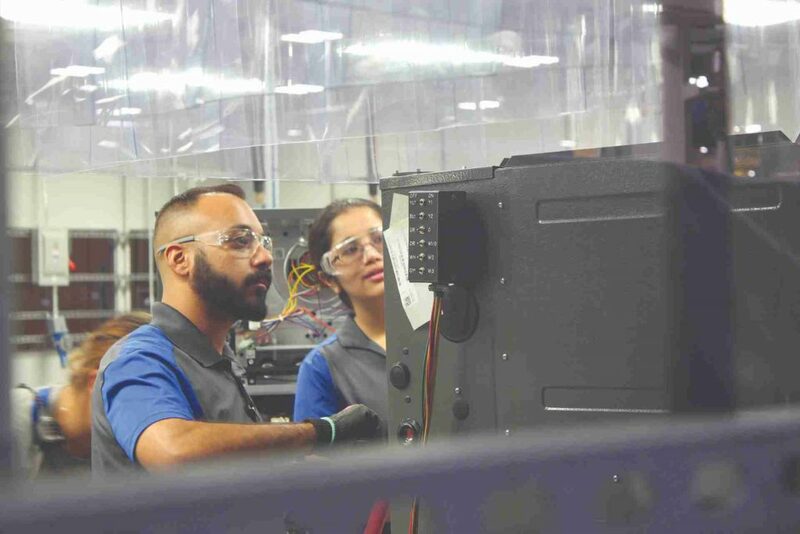 Goodman is the largest air conditioning company and Goodman HVAC equipment is manufactured in one of the most technologically advanced HVAC facilities in Texas. Goodman has been a proud sponsor of Lifetime Network’s Military Makeover television series since 2016. Goodman donates high-efficiency heating and air conditioning systems to the selected Military Makeover families who have sacrificed so much. * To receive the 10-Year Parts Limited Warranty, Lifetime Compressor Limited Warranty, Lifetime Heat Exchanger Limited Warranty (both good for as long as you own your home), and 10-Year Unit Replacement Limited Warranty online registration must be completed within 60 days of installation. Looking for Goodman Furnace & AC. Installation, Repair & Service. ratings or reviews? We invite you take a look at all our reviews and we hope to earn your trust too!